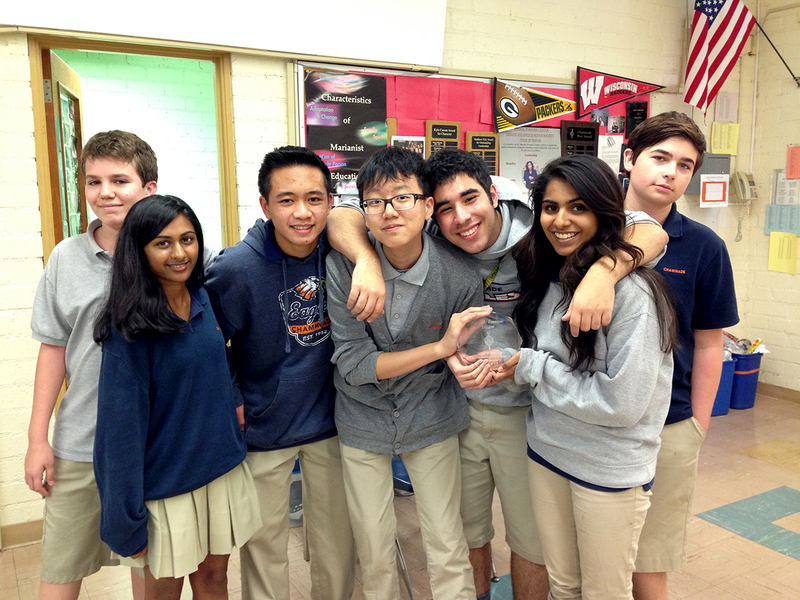 Once again, Chaminade Speech & Debate Society took the Tri County Forensic League’s First Place Debate Sweepstakes Trophy, beating out more than 40 teams in the Southern California League. CSDS members also earned awards at the Speech Tournament held at Cleveland High School. Excellent Speaker Awards went to Bhaskar Suri ’16, Kayla Leister ’17, Nico Gargiulo ’15, Shea Thomas ’16, Grant Uberstine ’17, Kellen Gardner ’16, Maya Angulo ’17, Gabe Spound ’17, and Andrew Hays ’17. Superior Speaker Awards went to Axel Sarkissian ’15, Adriana Burga ’17, Noelle Johnson ’16, Brandon Marsh ’16, and Nico Gargiulo ’15. In addition, Andrew Hayes ’17 took second place in Original Prose and Poetry; Christopher Azarloza ’17 came in fifth place in Spontaneous Argumentation; Noelle Johnson ’16 earned sixth place in Impromptu; Jack Cheney ’17 placed sixth in Spontaneous Argumentation; and Dylan Ames ’17 took seventh place in Spontaneous Argumentation. This entry was posted in Academics, High School, Speech & Debate Society by Chaminade News. Bookmark the permalink. I am really looking forward to the Grandparents Day Mass this year at the Middle School. Last year it was spectacular.